Vogue Paris broke ground with a new first in February. That month’s cover girl was transgender model Valentina Sampaio and, as a male-to- female trans person, she was the first member of the trans community to grace the cover of a Vogue magazine. Vogue Paris proudly shared this achievement as they promoted the issue at a time when LGBTQ rights have become a hotly debated concern in American society and around the globe. 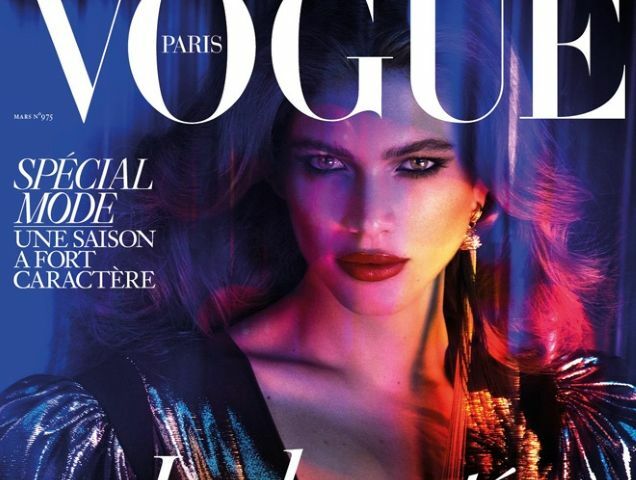 In featuring Ms. Sampaio on their cover, Vogue Paris has presented a positive role model for younger transgenders and helped to spread awareness about the trans experience. Valentina wasn’t chosen arbitrarily, though her over 84,000 Instagram followers can attest to her popularity. It was her beauty that first drew Vogue Paris editor Emmanuelle Alt’s attention and inspired her to feature the transgender model on the cover of the magazine. She says Sampaio’s beauty is stunning enough to compare to past Vogue Paris cover models, like Gigi Hadid, Kendall Jenner, and Kate Moss. The editor says she chose Valentina for reasons other than her beauty, however. As a transgender model, Ms. Sampaio represents more than someone striving to be recognized for who she is and even more than what she represents as a trans community representative. Valentina embraces the non-conformity to what the majority of society considers “normal” and it’s that rejection of conformity that the French Vogue editor wanted to celebrate. Ms. Alt adds that she hopes Valentina’s new cover will be one more stepping stone toward a day when featuring a transgender model on the cover of a magazine is no longer newsworthy. “This month we are proud to celebrate transgender beauty and how models like Valentina Sampaio, who is posing for her first ever Vogue cover, are changing the face of fashion and deconstructing prejudice,” Vogue Paris captioned an Instagram image of the cover. While the fashion industry is striving to bring more diversity to the runways and the photoshoots many women’s magazines are still struggling to play catch up. Vogue, on the other hand, is eager to help give the trans community, one of the most underrepresented cultural groups, are louder voice. 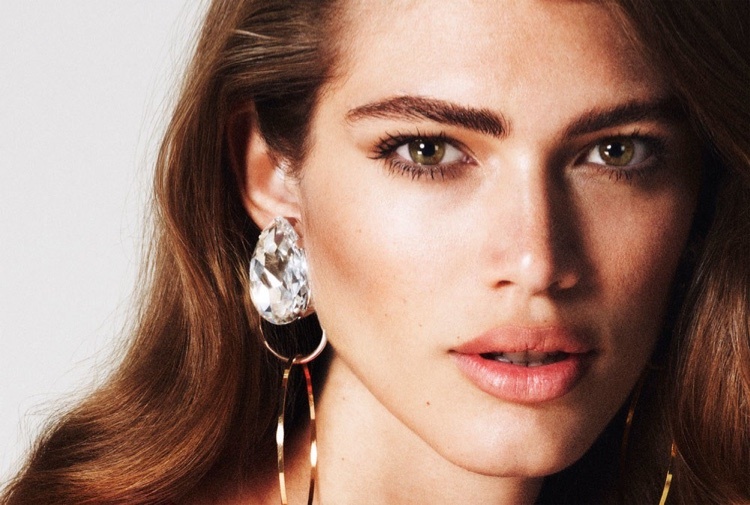 The fact that Vogue Paris editor Emmanuelle Alt declared Valentina Sampaio “the absolute equal of Gisele, Daria, Edie or Anna” says something about the changing views of the fashion world. It also suggests that Valentina, who previously appeared on the cover of Elle in Brazil in October, is a rising star in her own right. Following her appearance on the March cover of Vogue Paris, Valentina’s social media following nearly tripled. That kind of sudden thrust into the spotlight might be unnerving to some, but Ms. Sampaio says it was such a whirlwind experience that she didn’t even have time to think about it. “I’ve realized a dream of such size I really can’t describe it,” says the transgender cover model. The interview with Valentina took place while she was on the set of another job, this time preparing for a cosmetics campaign. The shoot took place in a Rio de Janeiro warehouse and Ms. Sampaio was surrounded by hair stylists and make-up artists as she spoke. If there had ever been doubt that she has in fact achieved that dream, the professional pampering was certainly enough to put that fear to rest. Valentina isn’t blind to what this means for the LGBTQ, a community that faces some of its harshest treatment in her home country of Brazil. She recognizes that her appearance on such high profile magazine covers as Elle and Vogue is already enough to bring change to the way the rest of the world sees transgenders. The model hopes it’s a sign that a new era of acceptance is beginning. Sampaio may be the first transgender model on a Vogue cover, but she acknowledges those who have come before her, paving the way. Particularly, Valentina comments on Caitlyn Jenner’s Vanity Fair cover, which she says was significant in that it presented Jenner as a beautiful woman without trying to justify her status as a trans person. Sampaio believes it’s important that the public begins to view transgender women as women, period. It shouldn’t matter how they came to become women, whether through genetics and nature or through surgery and hormone therapy. The world has taken huge steps for transgender people in recent years,” Sampaio said. “My cover is another small step — an important step that shows we have the force to be Vogue cover girls,” said Valentina Sampaio. Valentina added that the fashion industry can and should be used as a tool, having the power to influence society. That power should be wielded to inspire change and greater acceptance of diversity in its many forms.